It's grilling season! The best thing about grilling is that impressive meals are so very simple to make. 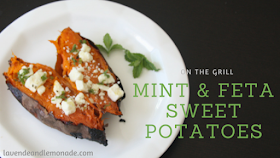 These Feta & Mint Grilled Sweet Potatoes are the perfect example! We typically think of sweet potatoes in the Fall, but they're a fantastically healthy addition to a summer barbecue. 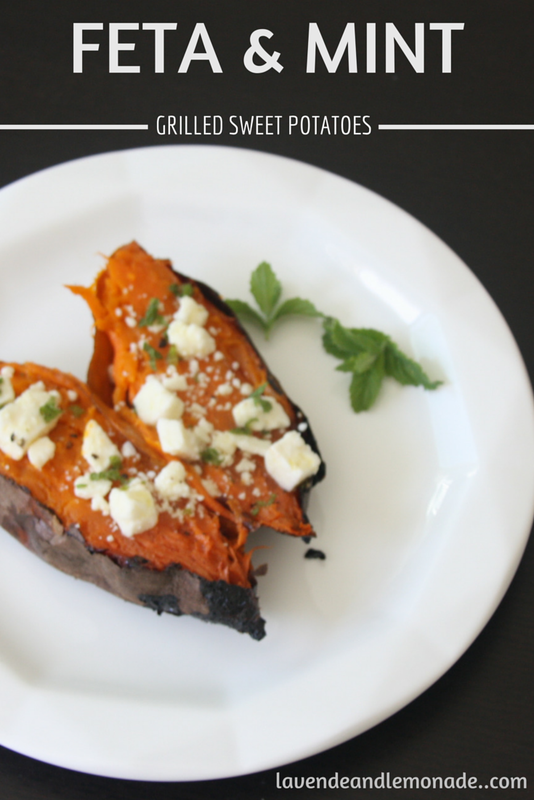 This recipe, with its fresh summer flavors, brings sweet potatoes front and center during grilling season and are a fun break from the typical steak-and-potatoes routine. Many thanks to Nikos® Feta cheeses for sponsoring today’s story. This recipe takes literally minutes to prepare, the rest of the time is spent enjoying the sunshine on the porch while it grills. 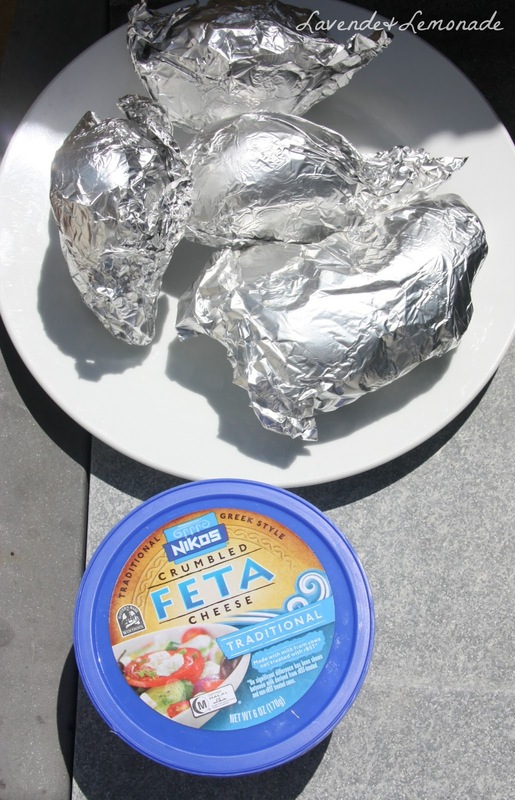 I've used Nikos Feta cheese which is a great way to keep dining options fresh and healthy! Nikos® has a full line of Mediterranean-style feta cheeses are certified Halal and made with rBGH-free milk. 1) Start by prepping the potatoes. Rinse them with water to remove any dirt, then wrap each individually in aluminum foil. 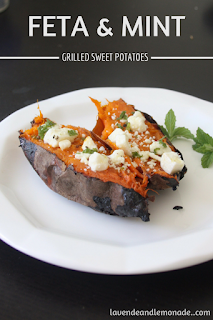 2) Fire up the grill and put on the potatoes. Depending on the size, this can vary. For a medium-sized potato I use medium heat for about 25 minutes. They're incredible forgiving, so just keep an eye on them from time to time and when they give to a gentle squeeze you know they're done. 3) Meanwhile, prepare the mint dressing. Mix together in a small bowl the chopped mint sprigs, a tablespoon of olive oil, a teaspoon of lemon juice, and some salt and pepper. Stir it up and you're ready to go! 4) Once the potatoes have cooked, open up the foil and cut them in half lengthwise. 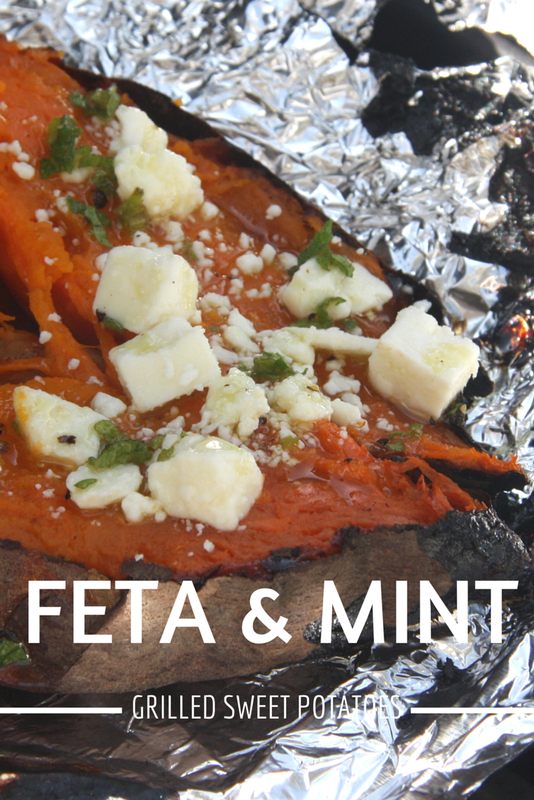 Sprinkle each potato half with feta and give them a minute or two on the grill with the lid closed to let the cheese warm up. Then top them with a drizzle of the mint dressing. These are bursting with summer flavors and are a perfect side to grilled chicken, sausage, or steaks. Grilling for a vegetarian? Add chickpeas in with the feta to make these into a main dish! Love food and love the beach? WIN A TRIP TO HAWAII! To enter, visit the Nikos Feta website or click the “Hawaii Trip” tab on their Facebook page (put down your phone, its only available from a desktop) between June 1 – July 31, 2015, and fill out the entry form. That's it! Full contest information is available in the Official Rules accessible via either site listed below. The Approximate Retail Value (“ARV”) of the Grand Prize is $3,500 ...jackpot!